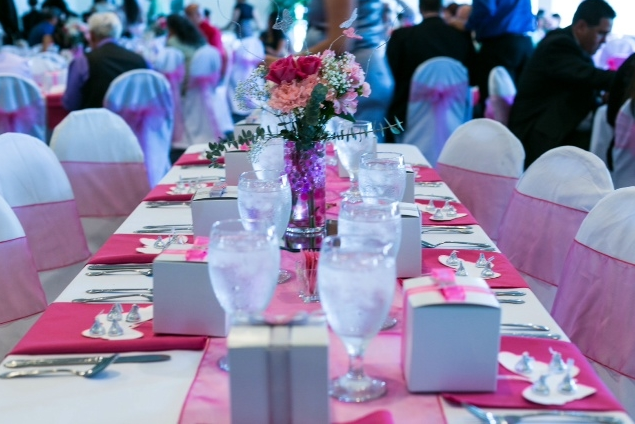 We Specialize in Wedding Receptions and Ceremonies, Birthday Parties, Religious Celebrations, Anniversary Parties, and Professional Business Meetings. Here at Heritage Harbor , we are prepared to provide you with the highest standard of personalized service, and an outstanding variety of menu items from which to choose. No matter what the occassion or size, our staff will make your day a memorable one. For weddings, Heritage Harbor can offer the intimacy and charm that creates a day to remember for the bride and groom. 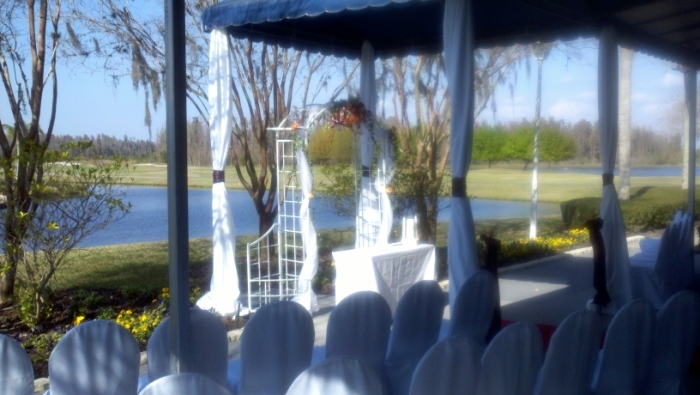 There are scenic views from the clubhouse of the waterways and wetlands; the golf course itself can be used as the velvety green backdrop for a ceremony or for memorable photos of the wedding party. The 11,000-square-foot clubhouse with its Gulf Coast plantation style and nautical feeling has rooms with country-contemporary style furnishings and decorative touches that can make guests feel as if they’re in a home rather than a banquet area. Up to 210 seats can be accommodated for events in our clubhouse . Our Culinary Staff can customize a menu to fit any and all tastes, while keeping in mind budgetary concerns. For more information on planning the perfect party at Heritage Harbor, call us at 813-949-6841 or email for a quick quote to hhclub@tampabay.rr.com or even Click Here to request more information. Copyright © 2019 Heritage Harbor Golf and Country Club All Rights Reserved.